Gareth Berliner first appeared on ITV’s Coronation Street in October 2014. Up until August 2017 he appeared sporadically on the show, before becoming a regular in February this year playing Macca. The actor is no stranger to health problems as he’s openly spoken about having Crohn’s disease – a long-term inflammatory condition that affects the digestive system. But in the early hours of last Friday morning, he shocked fans by revealing he was enduring another health condition – one which is life-threatening, sepsis. Sharing a picture of himself in a hospital bed to Instagram, he captioned the image: “Well I was brought into hospital by ambulance about 1am owing to some amount of sepsis with terrible Rygors while hooked up and infusing Saline. “It means my already weakened immune system is even weaker. so I’ve been put in isolation…in other words I have a room to myself.. I’m happy with that,” he added lightheartedly. 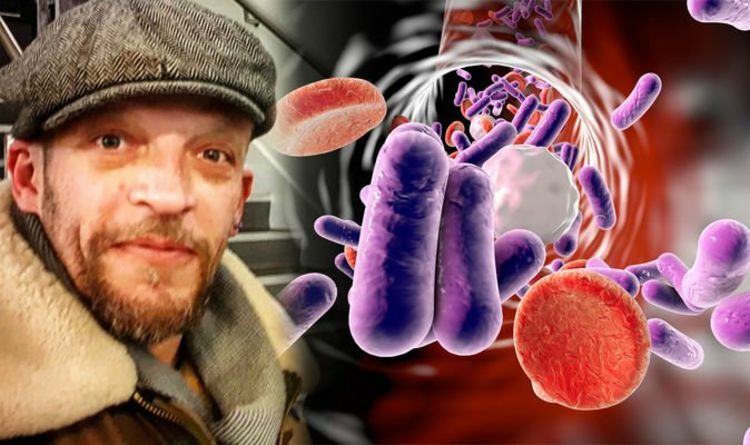 Gareth, who has previously spoken out about having to take nutritional feed into his blood via a tube in his chest, told The Mirror about his condition, saying: “Having sepsis of any kind is part and parcel of living with Total Parenteral Nutrition and just one of those things that happens from time to time. While sepsis is a serious complication of an infection, and can lead to multiple organ failure and death, the Corrie star revealed on Friday he was “okay”. Bacterial infections are the most common cause of sepsis, and a few autoimmune diseases can increase your risk of infection. One of these is Crohn’s disease. Another Coronation Street star who has spoken about their health condition in the past is Sally Dynevor.